A: ISCB or the International Society for Computational Biology (http://www.iscb.org/) is the parent organization and primary sponsor of the annual ISMB conference. The ISCB is dedicated to advancing the scientific understanding of living systems through computation, with a special emphasis on the role of computing and informatics in advancing molecular biology. The Society aims to serve its membership by facilitating scientific communication and raising awareness through meetings, tutorials, publications and by electronic means. ISCB membership offers many benefits including reduced conference registration fees and reduced subscription prices for the Journal of Computational Biology and Bioinformatics. Bioinformatics is the official journal of the society. There are currently over 1700 active members from 42 countries including more than 300 students and trainee members. A member's meeting and a meeting of the Board of Directors for the society are held annually in conjunction with the Intelligent Systems for Molecular Biology (ISMB) conference. Officers are elected on an annual basis and serve voluntarily. A: ISMB (Intelligent Systems for Molecular Biology) is an international conference sponsored by the International Society for Computational Biology. Over the past ten years, the ISMB conference has grown to become the largest bioinformatics conference in the world. The ISMB conferences provide a multidisciplinary forum for disseminating the latest developments in bioinformatics. ISMB brings together scientists from computer science, molecular biology, mathematics, and statistics. Its principal focus is on the development and application of advanced computational methods for biological problems. Q: What is the ECCB? A:The European Conference on Computational Biology (ECCB) is a multi-disciplinary conference that bridges the fields of computer science, mathematics, physics, chemistry and biology by bringing together involved scientists from all over the world. It has a revolving scheme in which, each year, one of the European countries hosts the European conference, often jointly with the national conference on computational biology. ECCB 2003 will be held in Paris, France. Q: Why are ISMB and ECCB joined for 2004? A: By combining both conferences, we're aiming to ensure that no-one has to miss out. ISMB/ECCB 2004 will have the broadest scope of any international bioinformatics conference held to date. Our submission procedures, keynote speakers, paper and poster presentations, tutorials and social events are all being designed to cater for computational biology's eclectic mix of disciplines. ISMB/ECCB 2004 will be the largest and most important computational biology event globally in 2004; we hope that this will be the first of many collaborations between ISMB and ECCB in the future. Q: Is ISMB/ECCB 2004 one conference or two conferences that happen to be in the same place? A: ISMB/ECCB 2004 will be a single conference with one programme. Q: What is Genes, Proteins and Computers? A: Genes, Proteins and Computers (GPC) is The UK's biennial conference in computational biology. It is organized by CCP11. Holding ISMB/ECCB 2004 in conjunction with GPC VIII upholds ECCB’s tradition of organizing ECCB jointly with the relevant national bioinformatics conference. A: CCP11 (Collaborative Computing Project 11, Biosequence and Structure Analysis) is a project funded by three of the UK research councils—the Biotechnology and Biosciences Research Council (BBSRC) and the Medical Research Council (MRC) and the Engineering and Physical Sciences Research Council (EPSRC) — to coordinate the UK bioinformatics community, particularly (but not only) in academia. Its aims are: to facilitate the transfer of bioinformatics knowledge and expertise through meetings, workshops and the World Wide Web; to develop software and facilitate its use (it is the prime mover behind the development of the public-domain bioinformatics software suite EMBOSS; and to represent the interests of the UK bioinformatics community in Europe and worldwide through its membership of EMBnet. More information is available at CCP11's Website: The Bioinformatics Resource. Q: What is the EBI? A: The European Bioinformatics Institute (EBI) is a non-profit academic organization that forms part of the European Molecular Biology Laboratory (EMBL). It is Europe's leading centre for research, services and training in bioinformatics. The EBI's mission is to ensure that the growing body of information from molecular biology and genome research is placed in the public domain and is accessible freely to all facets of the scientific community in ways that promote scientific progress. It does this by fulfilling four broad functions: supplying information to biologists across the globe through its databases and other resources; state-of-the-art bioinformatics research; training; and supporting companies through its Industry Programme. Q: What is the Scottish Bioinformatics Forum? A: The Scottish Bioinformatics Forum (SBF) is a network of bioinformatics researchers from academia and industries in Scotland and is a vehicle for developing Scotland as a centre of bioinformatics excellence. The SBF has nodes over the whole of Scotland including Aberdeen, Dundee, Edinburgh and Glasgow, with several member institutions at each node. The Forum has four key objectives: providing additional opportunities for collaborative research to be identified and realized; enabling researchers and industry to forge closer working relationships; promoting tailored training and recruitment schemes; and providing a generic voice for the Scottish Bioinformatics community. Q: What is the University of Glasgow? A: The University of Glasgow is one of the UK's leading universities with an international reputation for its research and teaching and an important role in the cultural and commercial life of the country. Its mission is to be a research-led University operating in an international context with the following fundamental aims: to provide education through the development of learning in a research environment; to undertake fundamental, strategic and applied research; to sustain and add value to Scottish culture, to the natural environment and to the national economy. Q: Who are the conference chairs? After graduating in physics, Janet Thornton studied for her PhD in Biophysics at the National Institute for Medical Research, Mill Hill, London (1970-1973). She then moved to Oxford, where she worked in molecular biophysics with David Phillips until 1978 when she returned to London to the National Institute for Medical Research, and subsequently to a Fellowship at Birkbeck College. In 1990 she was appointed Professor and Director of the Biomolecular Structure and Modeling Unit at University College, London and later also was appointed to the Bernal Chair in the Crystallography Department at Birkbeck College. In October 2001 she became Director of the EMBL - European Bioinformatics Institute on the Wellcome Trust Genome Campus at Hinxton, near Cambridge. She was elected a Fellow of the Royal Society in 1999 and a Member of EMBO in 2000, and a foreign associate of the US National Academy of Sciences in 2003. Janet's research focuses on structural molecular biology using computational approaches. Her goal is to understand biological processes at the molecular level, based on sequence data and the three-dimensional structures and interactions of the molecules involved. Current research is focused on understanding the evolution of biological function from a structural perspective and predicting function from structure. This includes analysis of the molecular interactions that provide recognition, specificity and complexity in biology. Such studies reveal the principles of molecular recognition and provide the foundations to improve the design of novel molecules with specific functions, for use as therapeutics. David Gilbert holds an MSc and PhD in Computing from Imperial College, London where his research focused on parallel computing. He was an EPSRC Research Fellow at the EBI during 1998 and a Leverhulme Research Fellow in the Biomolecular Structure and Modeling group in the Department of Biochemistry and Molecular Biology, University College London in 2000. David leads funded research projects on protein structure modeling and analysis, and biochemical pathways. The fast protein structure-comparison system that he has developed is part of the TOPS suite, and he also co-developed the first version of the path searching interface to the aMAZE biochemical pathway database. A: Glasgow is located in the west of Scotland, UK. For many years it was known as the industrial capital of Scotland, but after being European Capital of Culture in 1990 and City of Architecture in 1999 it is now considered one of the most cosmopolitan cities in Europe. 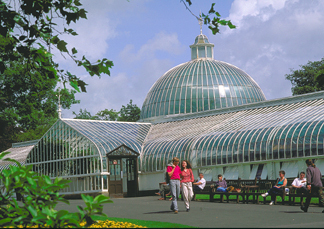 There is a wealth of attractions to discover, the UK’s finest Victorian architecture to astound, internationally acclaimed museums and galleries to inspire as well as Glasgow’s own unique atmosphere to soak up. Be entertained in one of Europe’s cultural capitals by its year-long calendar of festivals and special events and enjoy outstanding shopping, superb bars and restaurants—all located within a stone’s throw of some of the country’s finest parks & gardens. The area also stands at the gateway to some of Scotland’s most spectacular scenery. Q: What language is spoken in Scotland, UK? A: The official language spoken is English—with a characteristic dialect! Q: Do I need vaccinations to visit Scotland, UK? Q: Do I need my passport to visit Scotland, UK? A: Valid Passports are required for all visitors to Scotland, UK from beyond the European Union (EU). Residents from EU countries with official recognized ID cards may enter Scotland without their passport but must have their official recognized ID card. Scotland uses the British Pound (£). £1 is worth approximately $1.50 or Euro1.30, depending on the exchange rate at the time of conversion. The CNN currency converter will allow you to convert British Pounds to other currencies. Q: How much do things cost in Glasgow? A: The cost of living in Glasgow is similar to that of other cities in the UK although not as expensive as London. Big Macs cost £3.29 ($4.80; Euro5.50) A can of Coke costs £0.55 ($0.82; Euro0.71). High quality restaurant meals are generally priced between £25 ($37.50; Euro32.50) and £35 ($52.50; Euro45.50) per person. Luxury hotels are typically priced at £180 ($270; Euro234) to £210 ($315; Euro273) per night, based on rack rate at 2003 prices. Public transportation (buses and trains) in the city centre ranges from £0.80 ($1.20; Euro1) to £1.50 ($2.25; Euro1.95) on weekdays, and taxis cost approximately £3 ($4.50; Euro3.90) per 2 miles. Most other goods (clothing, electronic items, books etc.) are reasonably priced. A: Glasgow International Airport is located about 8 miles from Glasgow City Centre. You may take a cab, limousine, bus, or train or you can rent a car. Details of these services can be found on the Glasgow International Airport website or the Strathclyde Passenger Transport Authority website. The cost of a taxi from the airport to city centre is approximately £25.00 ($37.50; Euro32.50), whilst the bus will cost approximately £3.50 ($5.25; Euro4.55). A: Registration will take place in Hall 4 of the Scottish Exhibition and Conference Centre. Full details will be provided soon. Information on how to reach the SECC is available on the SECC website. View a plan of the SECC. A: Information on travel fellowships will be provided soon. A: Information for exhibitors will be provided soon. A: Information on poster set up will be provided soon. A: The Cyber Cafe is an industry-sponsored facility offering web and email access for conference attendees. To avoid long lines, we recommend that users limit their access times to 15 minutes per session. A: The Cyber Cafe will be located in Hall 4 of the Scottish Exhibition and Conference Centre (SECC). View a plan of the SECC. A :ISMB/ECCB 2004 will operate a ‘Can I Help You?’ desk at the registration area in Hall 4. Any lost and found items will be handed into this desk. View a plan of the SECC. Q: How much does ISMB/ECCB 2004 registration cost? A: Details of registration fees will be provided soon. Q: Will I be entitled to tax refunds on goods purchased in Glasgow? you retain all receipts for this purpose.